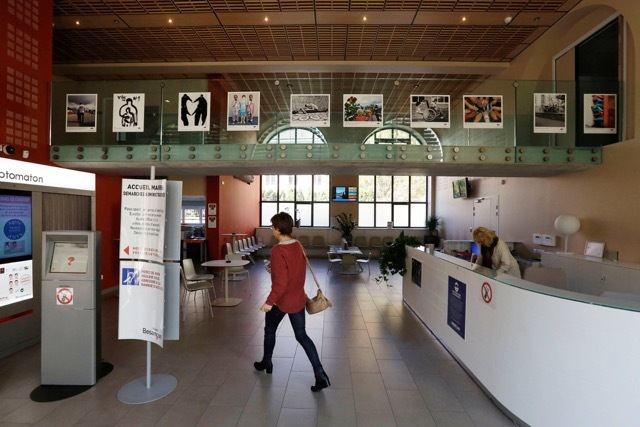 AAS Graphic Design Faculty Jeanne Verdoux’s work is currently featured in an exhibition in France titled ‘Une image pour la fraternité’. This event takes place one year after the November 2015 Paris attacks where more than 125 were killed. 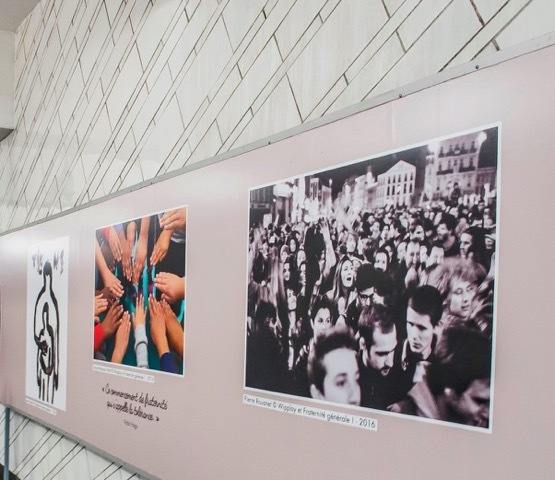 It is part of a social movement called ‘Fraternité Générale’, created by philosophe Abdennour Bidar in partnership with RATP, the Parisian métro system. 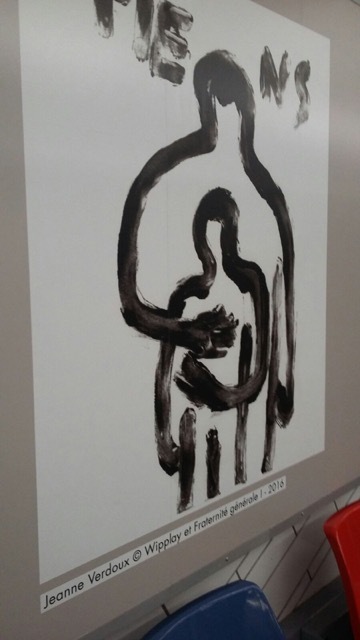 The main exhibition is large posters on the platform of métro station ‘Hotel de Ville’ from November 2 to 14, a smaller collection of art works is touring the country at the same time. 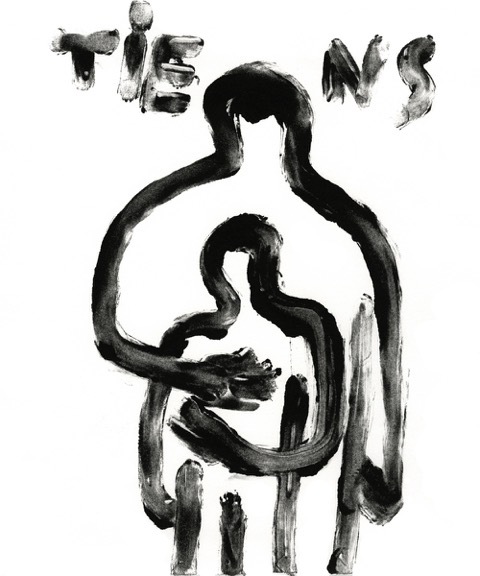 Her drawing ‘Tiens’ (a French word of multiple meaning: ‘Take this’, ‘Hold on’ , ’Your people’) was created spontaneously following the Paris terror attacks. The message is simple and humanist, suggesting resistance and togetherness. It was created by monoprint technique at the Parsons printshop.